Solar Power System gets the energy from the Sun every day. Solar System transfer the light energy from the Sun to electrical energy and can be stored in the battery. The main thing here is this electrical energy is free and never ends. It repeats every day. What makes solar power system able to get electrical energy from the Sun? The answer is Solar Cell which has a electrical characteristic when under the light of certain brightness strength, free electrons will move from cathode to anode in the solar cell if they are electrical connected. Solar Panel is the assembly of the solar cells to get higher current. 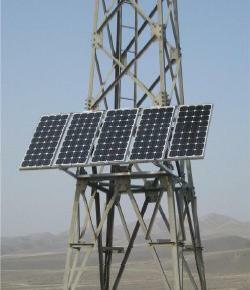 Solar panel can be manufactured to have different operating voltages. In the market the operating Voltages of the solar panel can have 6V, 12V, 24V, 36V…. Solar panel works like battery they can be connected in series or in parallel. When two 12V rated solar panel connected in series the output voltage is 24V rated. When they are connected in parallel, the total current will be the sum of the individual solar panels. What determine the size (Wattages) of the solar panel? Each Solar System is a special designed for a special need and it depends on the sun shine condition at the place it is being sited. There are two major factors which will decide the power generated from the solar system in the day. • How much the electrical energy needs for the electrical appliance (the load) per day? • How long is the Average Sun Shine Hours per day of the place where the solar power system will be placed. Average Sun Shine Hours per day is defined as the number of hours that the sun shine have enough brightness to let the solar panel generate at its rated power output. These two numbers are to decide the size (Wattages) of the solar panel. For solar panel to generate enough electrical energy for the whole day that is used by the load; the average energy generated per day by the solar panel should be larger than the energy needed by the load is a common sense. But the hours the sun shines on the solar panel per day is different from area to area. For number of solar panels with same wattages to generate same amount of electrical energy per day at places that have large (or longer) average sun shine hours per day need less number of solar panels. In Singapore, the average sun shine hours per that due to the cloudy sky is about 4.5 hours. It is considered LOW. What determine the size of the Battery? The weather of the solar power system to be placed; the largest number of raining days or how many days that the sun will be covered by the cloud; will decide the size of the battery. When there is not sun shine on the solar panel, the electrical power supply to the load is solely depending on the battery. What we are trying here is to make sure the power supply to the load should not fail. This is one of the reasons why the capacity of the battery need to be 4.5 or 5 times larger than the power daily needed by the load in Singapore. And we let our customer know if there is 3 days continuous do not have sun shine on the solar panel then the load will not have energy to work at the third or fourth night. In Singapore during year end is the raining season, some time there are days the sun shine only 2 hours. If these days continuous for more than one week, the solar light will only on less than half time which it supposes to. Click to deep cycle battary concept. This has been mentioned in Why Solar Garden Light page. 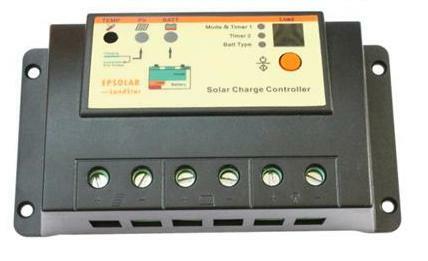 There are many different types of solar controller in the market and I just hope the following information will help you in select a suitable one. 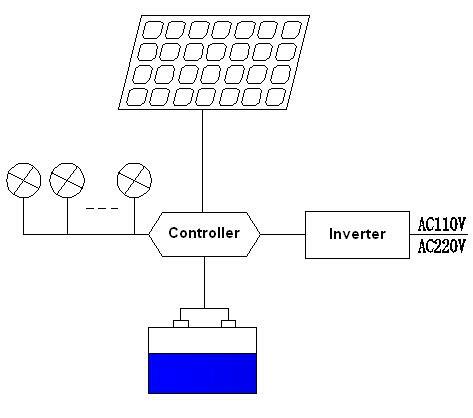 What Solar Controller do in the Solar Power System? Beside manage the charging and discharge of the batteries in the solar power system, the solar controller decide the on and off of the light in the solar power lighting system such as solar lawn lamp. If there is a timer in the system, the controller can perform activity like on the light or lamps for few hours. and then turn off. With electronic and microprocesser technology, the controller can do a lot of task that we can imagine. Beside the functions it can perform, the number of Amperes of current it can handled also a factor. The larger the current the size of the controller will be bigger. When you need a electrical power inverter in the solar power system? Almost all of the electrical appliances during the design state can be run in DC(Direct Current) electrical power and most common voltage is 12V DC. In every electrical appliance there is a circuit that convert the AC(Alternative Current) power to DC power. Why now a day AC electrial powers(60HZ 110V AC and 50HZ 220 to 240V AC) are being used worldwild and for all the electrical appliances the power input is AC electrical power? The reason is delivery of electrical power from one place to other place at a far distance will cause big power loss for DC electrical power and the loss for AC electrical power is insignificiance. So all electrical power generating station produce AC electrical power. The inverter here is to convert the DC electrical power to AC electrical power. 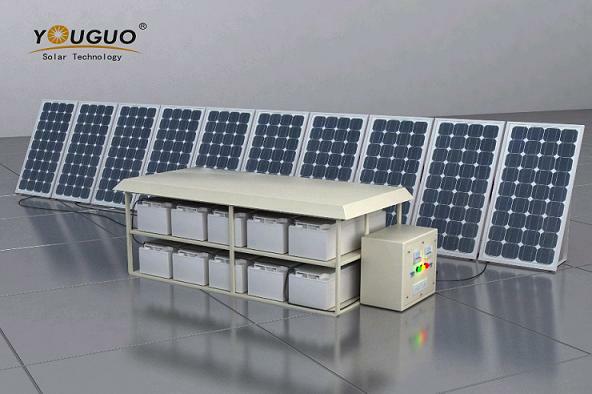 If solar power becomes main electrical power supply, you will not need the inverter. 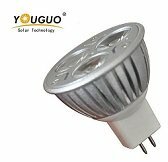 Why Led is the best light source for Solar Power System? Led will be the only future light source especially for solar power system. It last long, need low DC electrical power so generate low heat. 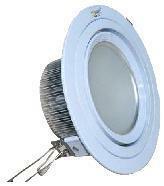 The brightness per watt in the market is 80 to 100 LM and it keep increasing as the technology advance. Why need solar power system? With the growing shortage of the fossil fuels such as oil and coal, the price of electricity has been rising and the energy crisis increasingly affects our lives. The end of the use of fossil fuels is imminent and thus it is important to source for alternative enrgy sources now. A promising alternative to fossil fuel is solar energy. -The solar power system consists of solar panel, battery, controller, inverter and electrical appliance. -The solar power system features supplying the electricity separately, though effected by the night , rain and season. -Although solar power system equipments are more expensive than gasoline generators, in the long run, you will save on gasoline expenses and the replacement of equipment. -In the process of generating electrical power, the solar power system is the only system that does not create by product such as CO2 or heat or CO. It does not hurt the environment we are living in. Below is a comparison of the cost of a gasoline generator and a solar power system for 300W of power. HOW TO DESIGN A SOLAR POWER SYSTEM? We do design Solar Lighting System for our customers. The design calculation is striaght forward and simple if you have some electrical basic knowledge. Click to know how to design solar system by example.